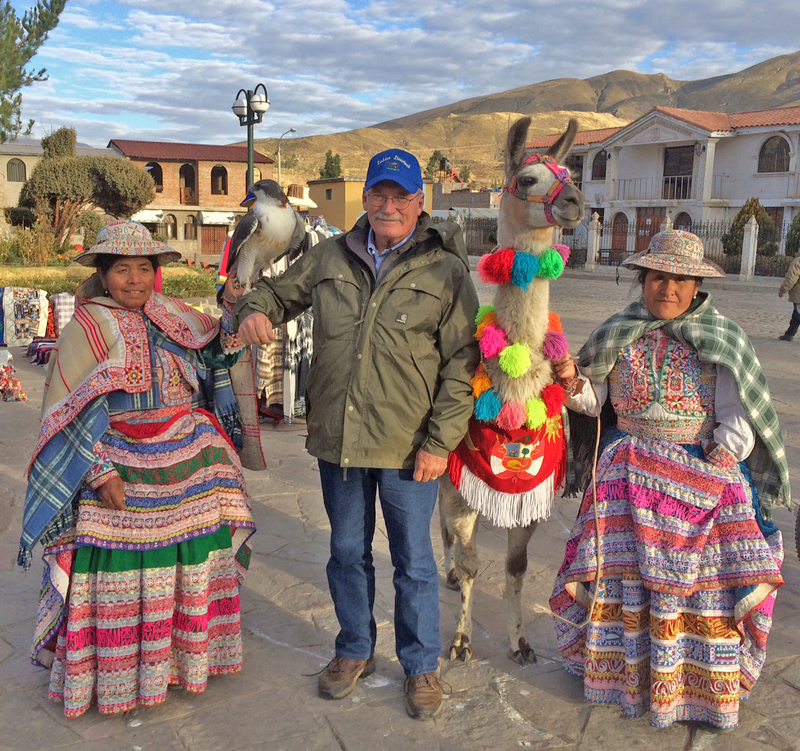 Pat and I were in Peru in mid-July, where we met with officials from the American Embassy regarding our difficulties with H-2A visas for our skilled Peruvian sheepherders. We spent a week as tourists. 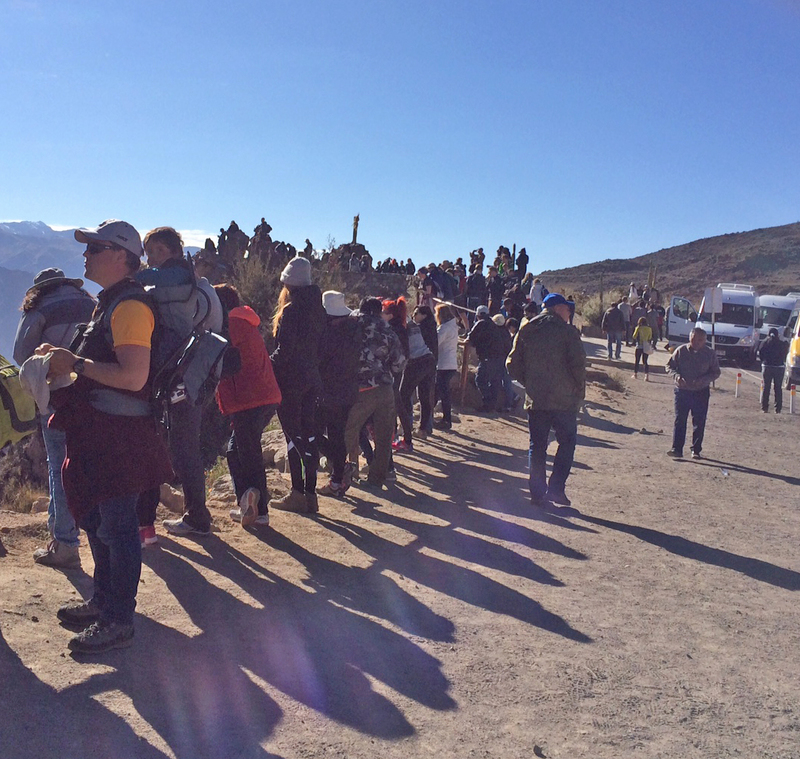 Our long-time employee, Pepe, recommended that we visit the Colca Canyon, which is famed for its Andean Condors. It is twice as deep as the Grand Canyon, but in a very different landscape. The upper part is scored with relatively gradual slopes. They are very steep, with dramatic mountains rising on each side. The slopes have agricultural terraces—some from pre-Inca and Inca times and some more recent. As the canyon, and the terraces change in altitude, the crops vary in relation to the micro-climate. 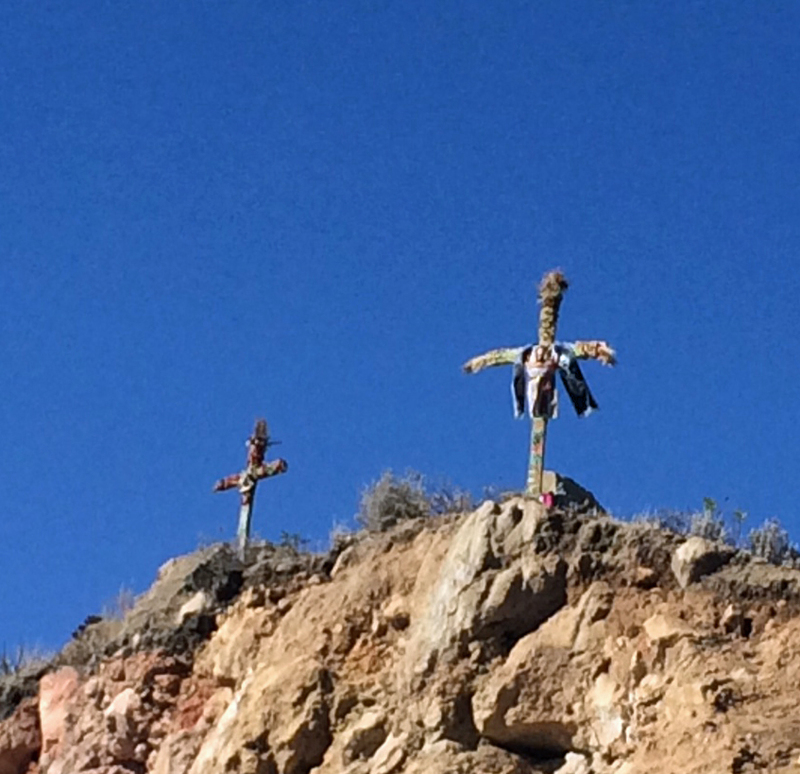 When the Spaniards conquered the indigenous people living in Colca Canyon, they “resettled” them from remote farmsteads into towns where they were more easily “governed”. The twelve towns established by the Catholic Church each have a square and a beautiful church, which have largely been refurbished. For centuries, the Church provided most of the government of the region, since it was so isolated. 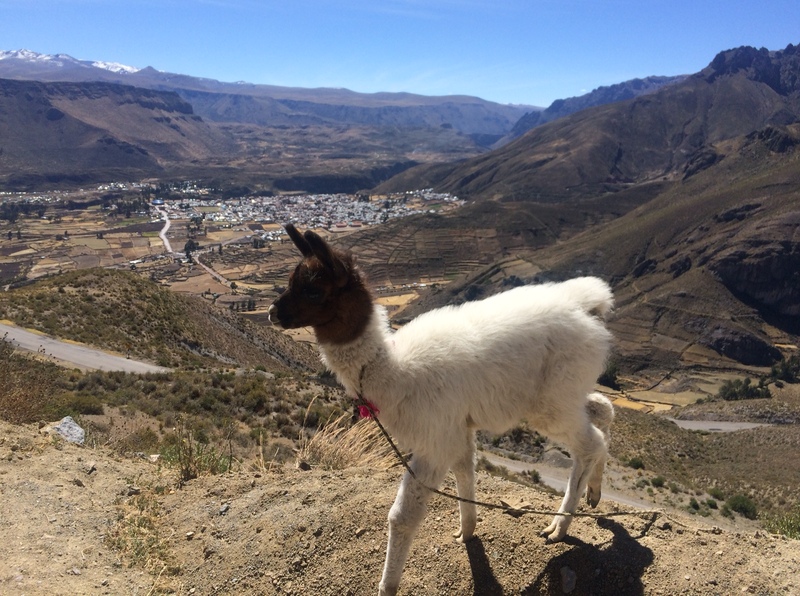 Llama trains bore goods back and forth to Ariquipa. A highway brought the region into the modern world, and today it depends on a thriving tourism business. 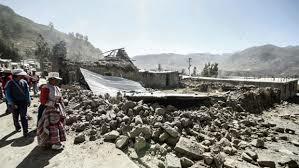 On August 15th, not long after our visit there, the area was rattled by a shallow earthquake. At last count, nine people were counted among the dead, including an American tourist. Scores were injured, and access through the winding mountain roads was cut off. This followed hard on the heels of an unusually cold snap which killed thousands of head of livestock in southern Peru. The area depends on agriculture and tourism. We were amazed by the number of tourists visiting. Each of the twelve towns in the valley has developed a unique attraction. 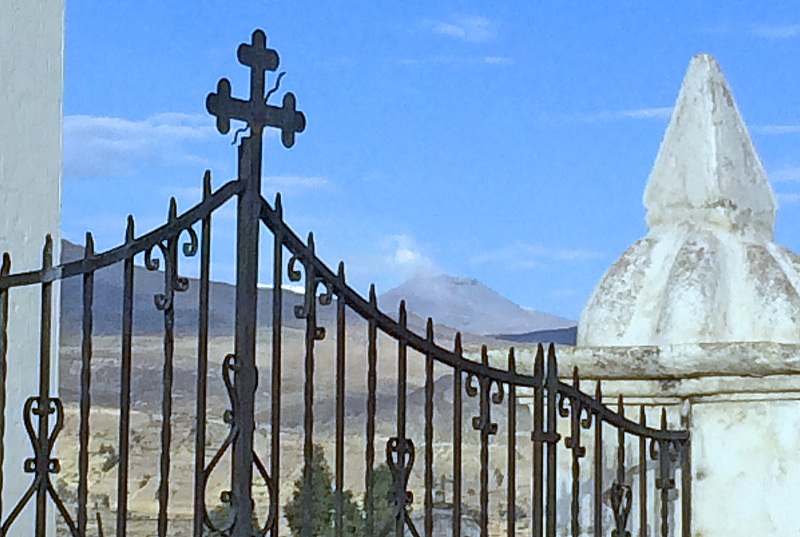 We visited Yanque, the town most hard-hit of all. 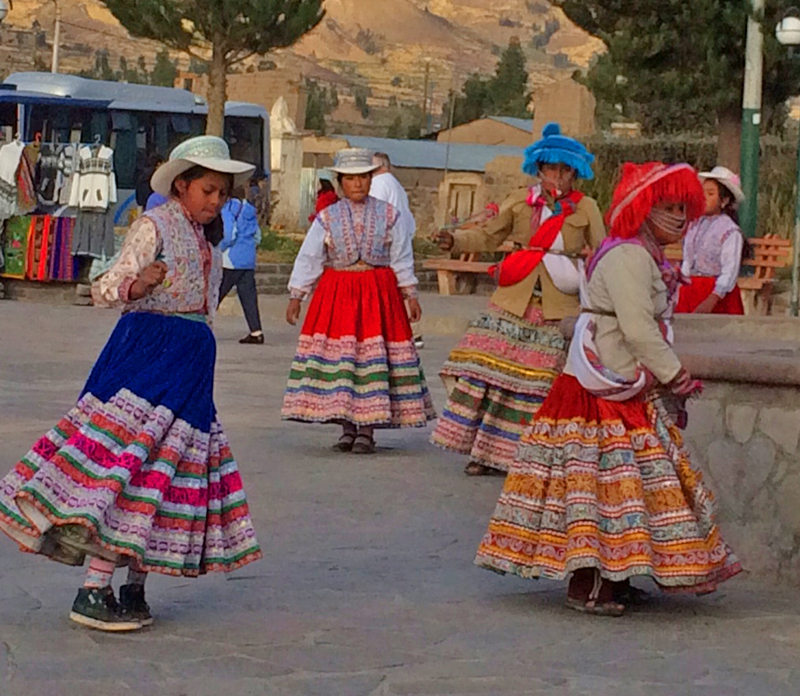 The tourist attraction in Yanque is traditional dancing in the Plaza de Armas (town square) every single day. When we saw the dancing, I thought of the movie “Funny Farm” where the locals relentlessly ice skate to impress visitors. Still, the dancing was wonderful, and we weren’t there for any of the many festivals where we might have seen dancing. I admired the local folks for figuring out a way to extract income from the many tourists visiting the area. I read that the Plaza is now filled with folks whose homes were destroyed. We pray for them. 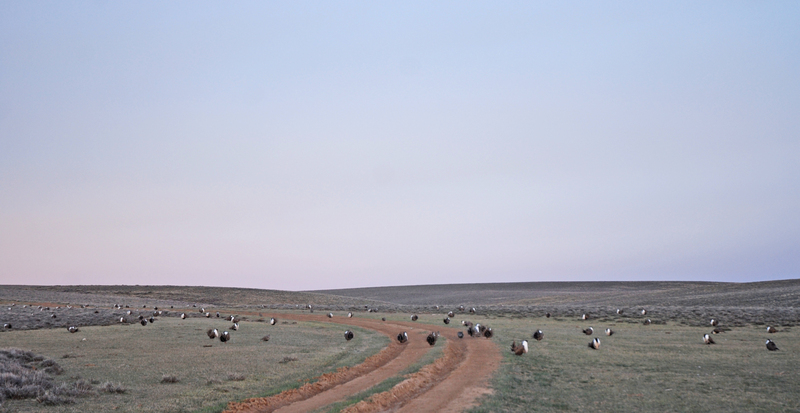 One of the largest Greater Sage Grouse leks in southern Wyoming lies right on our lambing grounds below Muddy Mountain. We don’t start lambing until after the lekking season is past, but sometimes we go up just to watch the birds courting. It reminds me of a singles bar scene, where a bunch of guys show up and try to pick up a lady. The guys are the ones with the big white puffy chests, and the hens are the smaller brown ones. A lot of hooting and chasing around goes on, and I’m not too clear one why one guy becomes the chosen one. And these guys don’t seem to stick around for rearing chicks! 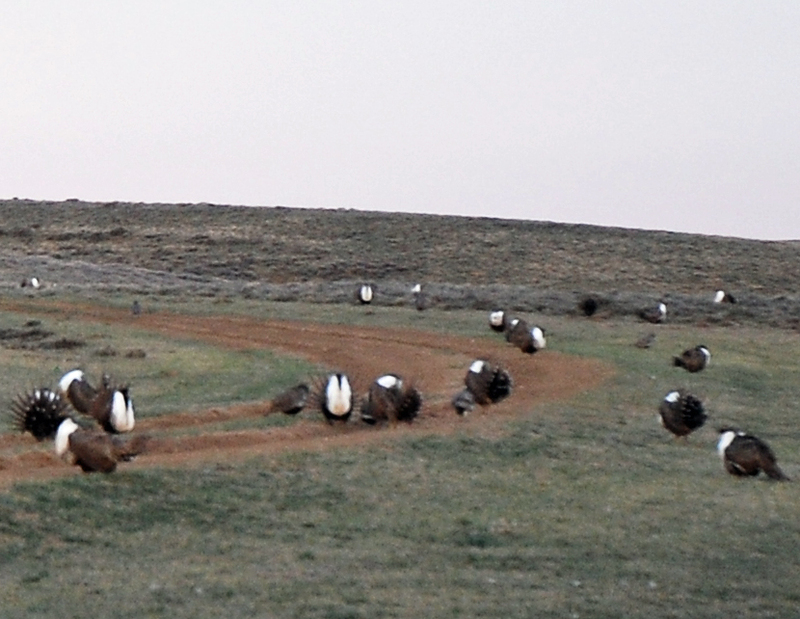 This particular area is slated for oil and gas development, and it has also been proposed for addition into Wyoming’s Sage Grouse core area, which would give some extra protections to the birds. It is also the nexus of a proposed mitigation area for the Grouse, which are awaiting a status determination from the U.S. Fish and Wildlife Service.